Here you will find answers to many of the questions that you may have about the process of selling Charleston Real Estate. I also invite you to email me at info@echarlestonrealestate.com, call me at 843-224-3233, or contact me directly through the contact page with any questions you may have. I will prepare a professional Comparative Market Analysis that is based on current market demographics for your review. 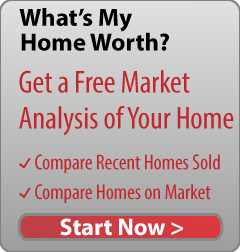 This report will show the price at which all homes similar to yours have recently sold. I will also compare your home to other homes currently on the market for sale. Together we will review this information and generate a pricing strategy that is competitive while making the most of the value of your asset. Q. What happens if I overprice my home? If you correctly price your home, you will create a "new to the market buzz” that excites any potential homebuyers who are interested in purchasing property in your neighborhood. This is an excellent opportunity to "showcase" your home to potential buyers and create interest in your property. If you overprice your home, you will miss out on this "new to market" opportunity and will waste time and money on marketing your property at a price that may not sell. Q. Is the listing agreement required to sell my home? Yes. The listing agreement includes all the important terms and conditions that are specific to the sale of your home. Q. Do I need to stage my home before listing it for sale? No. However, it is important to note that staging your home creates a "wow" factor that helps to sell your property quickly and for the best price. Please bear in mind the fact that the best way to achieve a quick sale is to showcase your home in the best possible way in a manner that appeals to your target market and attracts the largest number of potential buyers. In order to do this, you should seriously consider using my expert input and advice to stage your home. Q. How will you market my home? Selling your home requires a listing agent that understands all the latest developments and trends in technology and marketing. I specialize in digital media marketing and will use my extensive experience to customize a specific marketing strategy that suits your home. It is crucial that your home is promoted online so that you can reach today's sophisticated, tech-savvy homebuyers. However, I recognize that not all potential buyers have embraced the digital age. To ensure that all posts are covered, I will also make use of traditional real estate marketing methods to sell your home. These include detailed property description in the MLS, high-quality photos, videos, yard signs, yard brochures, newspaper ads, open houses, magazine ads, just-listed postcards, word-of-mouth, and email campaigns. Q. How will you keep me informed? Selling your home is a big responsibility and I understand the importance of keeping you informed at all times. I update you after each showing and share any feedback I have received regarding your property or the price at which it is advertised. I will also ensure that you receive regular updates regarding real estate news that directly impacts your home such as new listings, price reductions, homes under contract, homes sold, expired listings, and homes withdrawn from the market. As your listing agent, I will answer all your home selling questions regarding pricing, staging, and marketing. In addition, I will also explain South Carolina's real estate contracts, addendums, contingencies and closing documents.